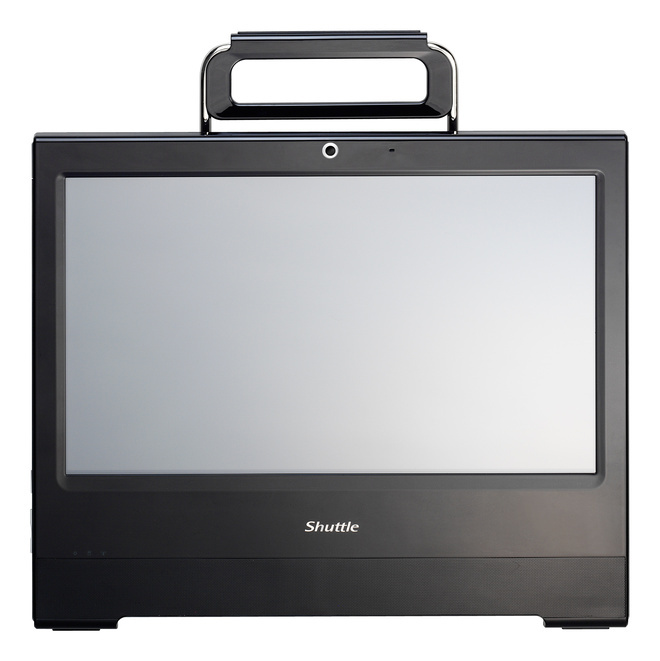 Shuttle Inc., a leading developer and manufacturer of multi-form-factor solutions such as the world-famous XPC Mini-PC Barebones, is announcing the sales launch of a new All-in-One-PC. 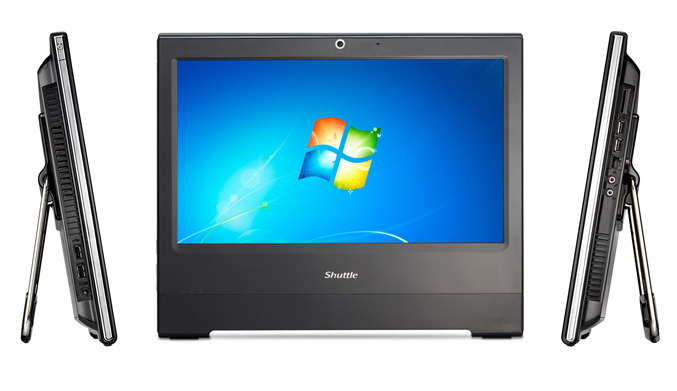 The second version of the X50 promises impressive, improved features and additional functions. 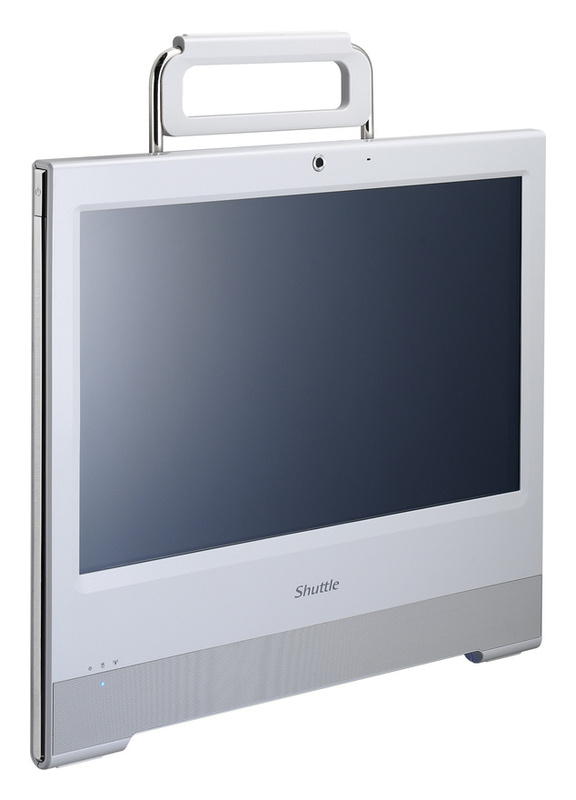 Almost one year after its successful introduction, the X50V2 Barebone is now being launched and will also be offered in future as a complete system, with a choice of Windows 7 or Linux. Lower energy consumption is just one of the many advantages of the successor to the original. 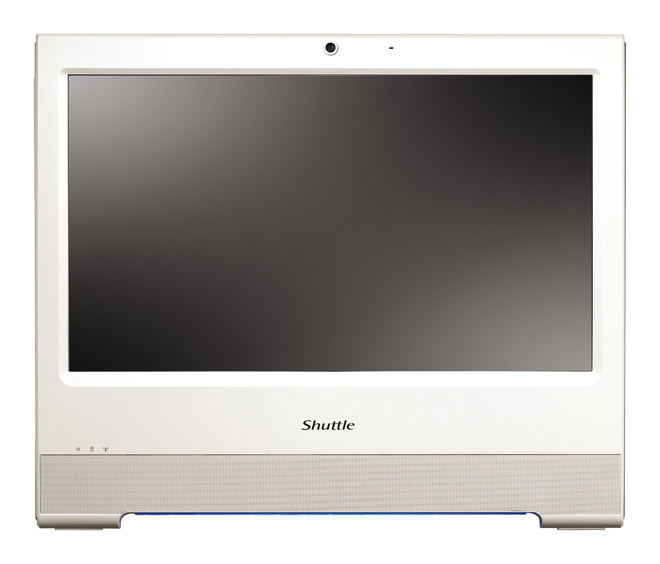 For the X50V2 Barebone, Shuttle has chosen the new Intel Atom platform with D510 Dual Core Processor (2x 1.66 GHz) and NM10 Express Chipset. 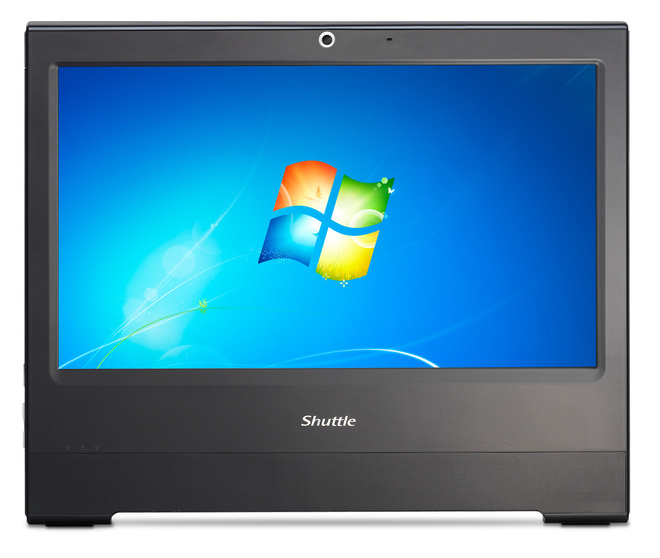 The new version of the X50V2 is, for the first time, completely passively cooled and therefore extremely quiet. 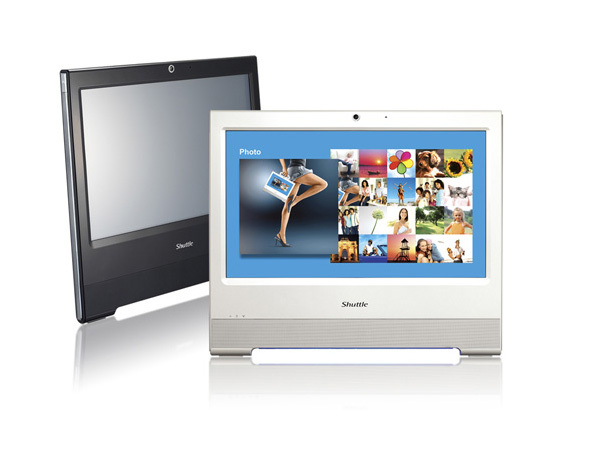 The energy consumption of the only 3.6 cm wide PC has also been reduced by around 50 % at the same time. The size of the supported RAM has been increased to 4 GB. New features include one parallel and two serial interfaces on the back of the X50V2, which make it considerably more attractive for special applications. 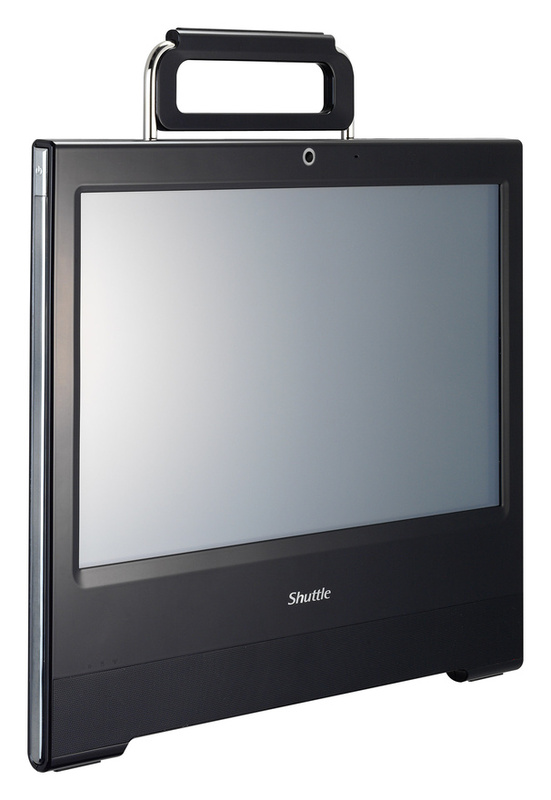 The practical webcam, integrated stereo loudspeakers, WLAN (N), card reader and stand, which can be turned into a carrying handle, are also available with it. 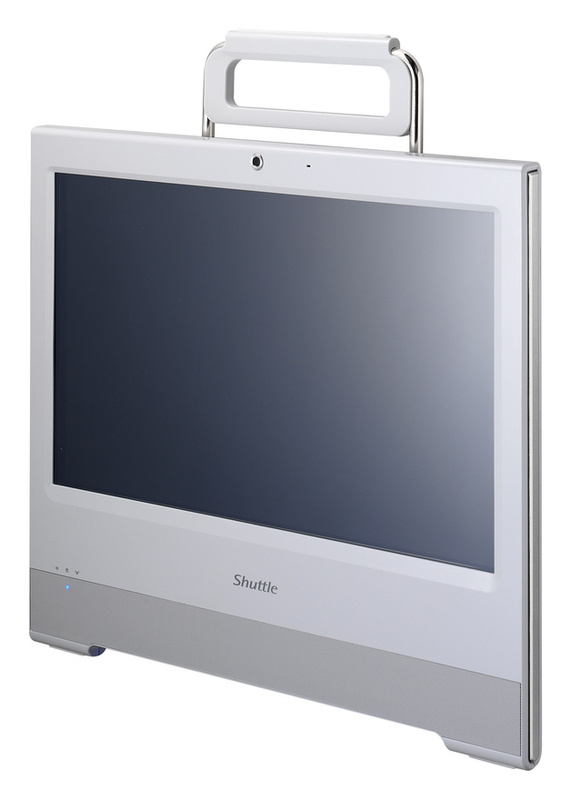 The standardised VESA mounting interface allows it to be fitted to monitor arms and wall mounts for freely suspended use of the device. 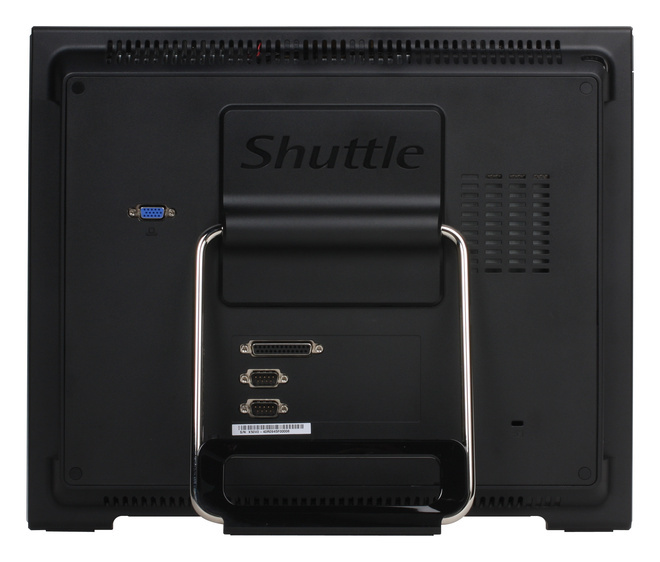 The new Shuttle X50V2 Barebone is available in black or white and is on sale now. 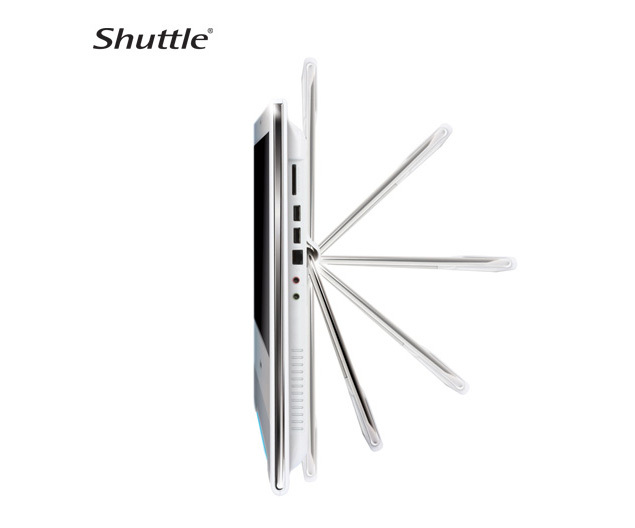 Shuttle’s recommended retail price is 353 euros (without VAT).